Visual FX have been seen for decades in big Blockbuster Movies, Television Shows, TV and Internet Commercials and even in Print Adverstising (Magazines, Billboards, etc). 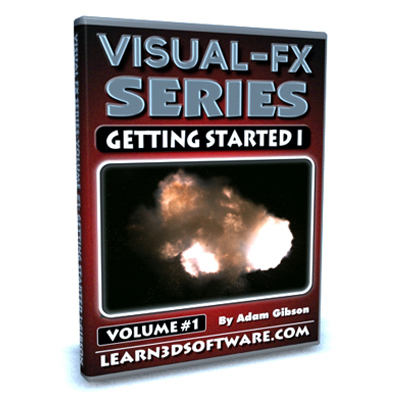 In this 12 Volume Training Series designed specifically for beginners some of the topics that will be covered are: Green/Blue Screen Compositing, VFX Software/Plugins, Set Extensions, 3D Camera Tracking, Object Tracking, Explosions, Fire, Smoke, Gun Fire, Lasers, Lens Flares, Blending CG Elements with Live Footage, Alpha Channels, Pre-Keyed Video Clips, 3D Models, Particle Effects, Video Filters, 2D/3D Compositing, Photo to Video, Visual FX Concepts/Techniques, Tips & Tricks, and more. Table of Contents for Volume #1: Chapter 1- Intro, Chapter 2- What is VFX or Visual FX?, Chapter 3- VFX Components, Chapter 4- Green Screen Basics in Hitfilm (Part One), Chapter 5- Green Screen Basics in Hitfilm (Part Two), Chapter 6- Green Screen Basics in Hitfilm (Part Three), Chapter 7- Primatte Keyer in After Effects (Part One), Chapter 8- Primatte Keyer in After Effects (Part Two), Chapter 9- Final. Running Time: 3 hrs. 6 mins., High Quality (Screen-Res 1920 x 1080 pixels), Video Format: MP4 (.mp4), Level: Beginner.